I appreciate any feedback from recent customers to display on site or to help improve my door repairs service. B.Goughy: "Rick is an important guy to have in your phonebook for those emergency scenarios and has saved our bacon on several occassions." P.Wyatt, Wolverhampton: "Excellent installation of a master key suite so we now have full cntrol of everyone's access." B.Whittington, Willenhall: "Rick unlocked and changed the internals on our safe when a key was stolen. 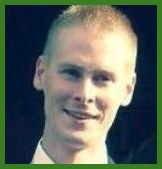 Very reliable and dependable service." You can find more reviews on our Door Repairs Review Page. 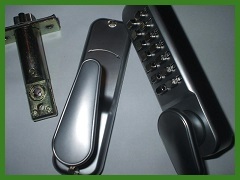 With years of experience repairing and replacing uPVC door lock mechanisms there isn't much that I cannot rectify. Often with repeated abuse and forcing of a doors lock the internal mechanism will shatter, jamming the multipoint locks solid and either jam shut or leave it unable to lock properly. 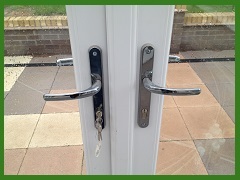 You have probably already rang round a few uPVC door and window firms in Wolverhampton only to be told that these locks can't be repaired and then proceed to try and sell you a new door. This is wrong! 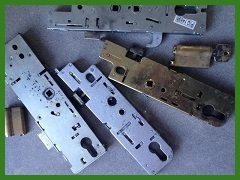 I can repair or replace 95% of uPVC door locks currently fitted in Wolverhampton and can usually source unusual or obsolete models through experienced trade professionals with new old stock or modern replacements. If you are having issues with your uPVC or composite door then do not hesitate to give me a call on the number above. I cover Wolverhampton on a 24 hour basis and in the unlikely event I am not available will be able to point you in the direction of a rated door repair firm that can provide the same excellent service. If you are a business owner or have a shop front in Wolverhampton then you may be searching for a company that deals with commercial door repairs? I have completed lock changes and door repairs for hundreds of business owners and commercial premises in Wolverhampton ranging from busy city shop fronts to local offices and nightclubs. More vulnerable premises often require specialist locks that provide additional protection against destructive attacks and vandalism and I keep a wide range of roller shutter locks and high security aluminiumn door locks in stock to cater for these customers. 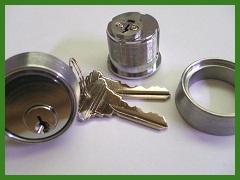 For clients wishing to use suited locks for multi access levels in large businesses and offices in Wolverhampton, I can design and re-pin locks to whatever specification is required as well as offering restricted key profiles to prevent unauthorised duplication of keys to company locks. Digital push button locks can be installed for those that do not want large numbers of keys to manage and for ease of access in busy office environments.